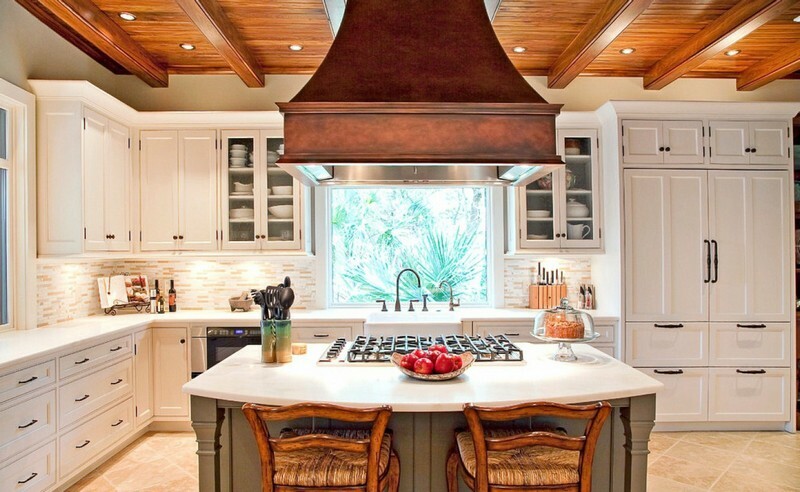 Despite increasing popularity of kitchen islands, complex technical aspects of their organization create a disincentive with regard to creating them at home for many people. As soon as we have discussed general aspects of kitchen island organization, let’s move on to technical details – piping, wiring and ductwork. 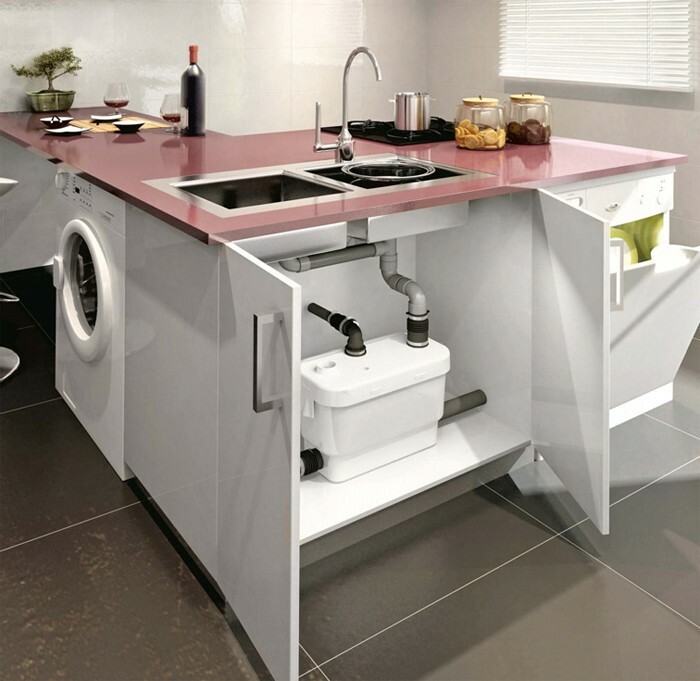 Problems related to kitchen island arrangement are primarily related to the need for organizing water supply and waste piping. As for electric cables, it’s not a complicated task indeed, but when it comes to hiding water and sewer pipes it’s far more difficult. As a rule, they are installed under the floor, hence their arrangement should be planned before making cement underlayment. Specialists must prepare the scheme of the future piping considering the required slope of the pipes. The latter is calculated depending on the material and the diameter of pipes. If the piping system wouldn’t fit into the screed thickness, there are two options available – either to increase the floor level in the whole room or to build a platform. To avoid the need for raising the floor level, a sewer pumping station can be installed. Some manufacturers of kitchen islands have models including these systems. But pay attention that they are not equipped with kitchen waste shredders, and you have to buy them separately. Speaking of pumps, consumers frequently make mistakes in choosing them for individual operating conditions. For example, they do not consider the type and quantity of connected sanitary equipment, or the temperature of wastewater coming to the pump. One more frequently neglected point is the slope of pipes taking effluents to the pump (3% of its length) and the slope of pressure line, taking the wastewater from the pump to the drainage sewer (1% of the length). Lack of locking devices on the pipes (gate valves or ball valves) that take drains to the pump and pressure line shall hinder the maintenance process. If the kitchen island features a cooktop, don’t forget to lead a power cable before making the floor screed, as well as a special mount and air ducts for a cooker hood installation. Unclean air is evacuated through the island cooker hood. Air ducts are installed into dropped ceilings. If the air outlet is impossible, a recirculation hood must be used. These hoods are also called recycling-only, as they do not duct the air out. Having a recirculation cooker hood, you’ll need to replace or clean grease and charcoal filters on a regular basis (every 3 months).